Ashbury Senior Computer Community Center and CYC 2.0 opened our new neighborhood technology training center with a Community Open House on June 25. The Open House was the culmination of two frantic weeks of cleaning, painting, carpeting and other renovation of the storefront, a former wholesale bakery, at 3800 Pearl Road in Cleveland’s Brooklyn Centre neighborhood. ASC3 expects to launch the new CYC Center’s first series of classes for neighbors during the week of July 7. 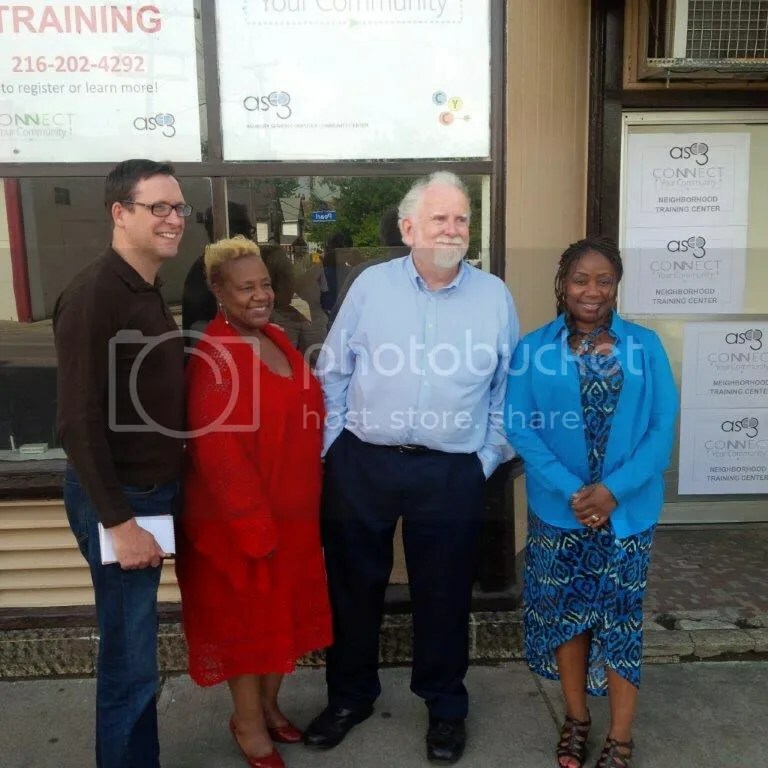 Ward 14 City Councilman Brian Cummins, ASC3 Director Wanda Davis, CYC 2.0 Director Bill Callahan, and ASC3 Board President Shaletha Mitchell at the Open House. Before and after the renovation.